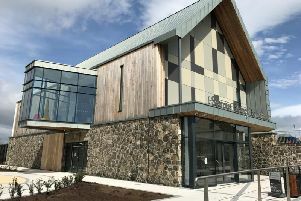 Businesses and homes across the Dungannon District have experienced major disruption and frustration due to a breakdown in their internet connections. Sinn Fein Councillor Mickey Gillespie, who has been inundated with complaints from local residents and businesses, has accused North West Electronics, the publicly funded provider of Bluebox Broadband, of callously ignoring the predicament of its customers. “Households have been left with no internet connection at all and it’s an absolute disgrace given that the Assembly has pumped hundreds of thousands into this service”, he said. Derry based North West Electronics, which operates as Bluebox Broadband, provides satellite broadband to a series of remote rural areas in the Dungannon District, including Galbally, Killeeshil, Cappagh and Donaghmore, where a fixed line connection isn’t an option. In 2011 the company was awarded £215,000 by the Department of Enterprise Trade and Investment to improve access to broadband in rural areas. It’s understood £237,000 was paid to Bluebox in 2009 from the same fund, which is co-financed by European money. While Bluebox’s website boasts “unbeatable speed”, the reality has proved anything but for hundreds of local customers. “To add insult to injury, whenever you ring to complain you are met with an engaged tone, or asked to email the company. How can you do that if you have no internet connection?” said Councillor Gillespie, who raised the issue at the monthly meeting of Mid Ulster Council. “I’ve emailed the director of the company to complain about the dire state of the service and have yet to hear back from him.” Mid Ulster council chairperson Cathal Mallaghan said that answers were needed, while the Chief Executive has agreed to meet the director of the company.